Rather than do a recipe for this one I thought I’d talk about perfect pairs. The turtle doves are symbolic of a strong bond, a perfect pair, and eternal love. In food, and life there are so many things that are best complimented by an accompanying partner. Here are some of my favorites and let me know yours! Yesterday at precisely 6:42 EST marked the historic event of me entering the doors to Eataly. While the places was jam-packed with people I still managed to take the time to get friendly with the products and stations. From a design and layout perspective the place is flawless. positively magnificent in it’s grandeur and product placements. I love the signage and simple clean photography of products. I would best compare my experience to walking through an Italian food museum or exhibit. 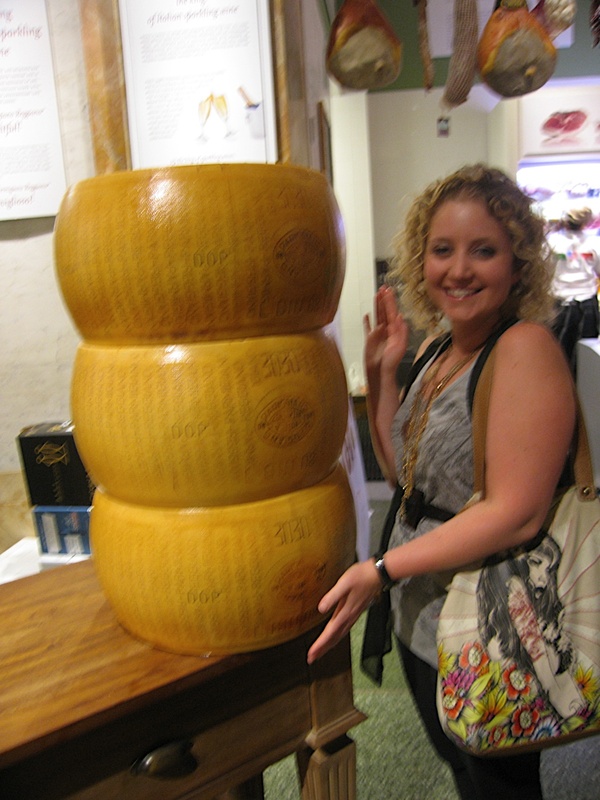 Lots of looking but not so much interaction, except when I accidentally touched a huge wheel of Parmigiano Reggiano cheese. Also, the display signs are really good and explaining different types of meat, pairings and regions of certain ingredients. I was pretty overwhelmed and I think what they need is area specialist to help inform you about products and answer questions (the make-believe job I had in my head that I thought they would hire me for). With 47 different bottles of Olive Oil how do I know which one is good without just blindly picking one with a pretty label and a decent price tag? While I didn’t notice much prepared food, the restaurants were packed! And I picked out Lidia tucked away in a little corner at one of the bars. As my friend and I stood there stalking her, Joe, her son came walking by and we had a chance to shake his hand (after I wiped off the Parmigiano grease from my hands) and congratulate him on the opening. 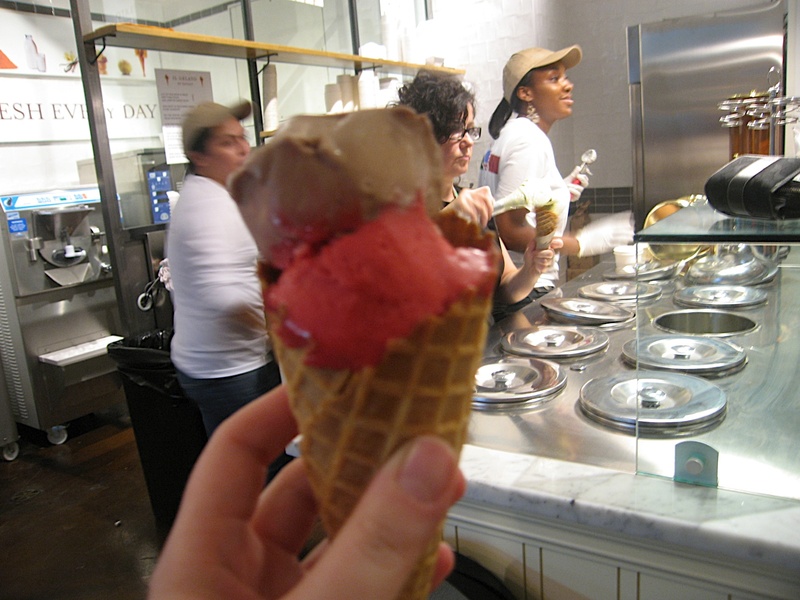 Before we left I had a gelato with hazelnut and raspberry. The hazelnut was delicious, very authentic flavor. I was a little disappointed that the gelato came out of tin buckets rather than scooped out of the big long display cases traditional to the gelateria’s in Italy. I’m still not confident on the success of the retail part, but hopefully the restaurants and soon to open brewery will keep the place going. Maybe I’ll go back in a month from now and spend some more time with the products and do some taste testing. If anything I’ll go buy some cheese and fresh pasta! Anyone who’s been there would love to get your feedback!